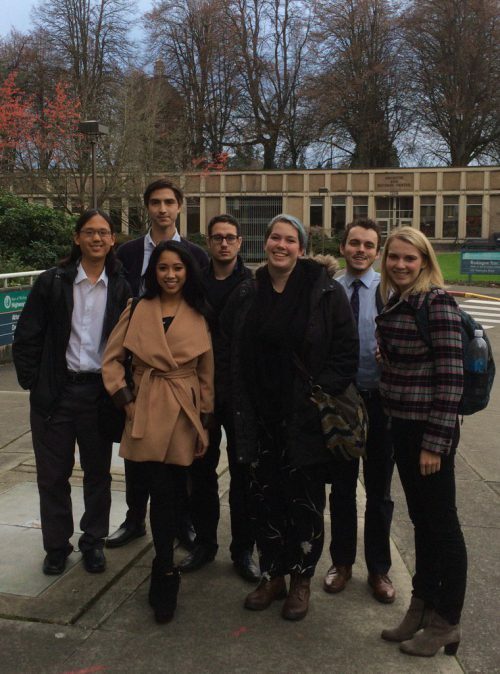 A new pack of students has been selected for the 2017 Olympia Legislative Reporting Program, designed to immerse students in paid, full-time reporting jobs each Winter Quarter with news outlets covering the Washington State Legislature. For students, this 40-year-old program provides incomparable training in public-affairs reporting. Members work directly alongside professional journalists as they cover government for readers around the state and region. According to program director Andrea Otanez, recent alumni of the program have gone on to report for daily news outlets including The Seattle Times, Associated Press, Tacoma News Tribune, Seattle Post-Intelligencer, Washington Post, Puget Sound Business Journal, NBC and international outlets. You can follow the 2017 reporters via their Twitter feeds, linked above. The Department will also feature interviews with program members throughout the quarter.